Martin Stern holds the AV® Peer Review Rating from Martindale-Hubbell which is the highest rating for ethics and legal ability. He is an experienced litigator who has successfully defended cases through verdict in both the federal and state court systems. Mr. Stern's practice focuses on medical malpractice, business/commercial litigation, and construction defect claims. Practicing law for over twenty years, Mr. Stern has represented clients in numerous industries which include banking, general finance, waste management, construction, and hospitality. Mr. Stern has defended both large and small companies in wage and hour, coverage-B, personal injury, wrongful death, and environmental pollution claims. He has successfully prevailed on numerous motions for summary judgments addressing premises liability and personal injury claims. Mr. Stern has also presented continuing legal education seminars on issues related to premises liability, indemnity and non-delegable duties. Mr. Stern has extensive experience representing clients in construction and design defect claims. This includes the representation of contractors, subcontractors, material suppliers, design professionals, glaziers and other entities on a variety of construction projects. With over twenty years of experience Mr. Stern has a strong working knowledge of Florida Statute, Section 558 entitled "Construction Defects" and related case law. He is an active member of the "Construction Underground" networking group located in South Florida. In addition, Mr. Stern has experience successfully prosecuting breach of contract, indemnity and contribution claims asserted by project owners, contractors, and vendors. Mr. Stern’s commercial litigation practice overlaps with the defense of managed care organizations in claims arising from provider disputes and the denial of benefits. This provides a strong working knowledge of Florida Statutes Chapter 641 and claims administered under the American Arbitration Association guidelines. Mr. Stern has also developed a strong background in pharmacy law. This practice includes defending pharmacists/pharmacies against claims of negligence, defamation, and administrative action taken by the Florida Board of Pharmacy. 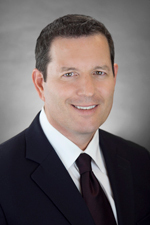 Mr. Stern joined Hinshaw & Culbertson LLP in July 2009. Previously, he was the Director of the General Liability Department in the Ft. Lauderdale office of Kelley, Kronenberg, Gilmartin, Fichtel & Wander, P.A. Mr. Stern began his legal career in 1994 at Kitch, Drutchas, Wagner & Kenney, P.C., in Detroit, Michigan. From 1997 to 2001, he was an attorney at Conrad, Scherer, & Jenne, P.A., in Ft. Lauderdale. He then spent five years at Steven Ziegler, P.A.. Upon graduating from law school, Mr. Stern passed the Pennsylvania, Michigan and Florida bar exams. In addition to his other law school achievements, Mr. Stern was a member of the Moot Court Honor Society and received its Distinguished Service Award. He took first place in the Widener Moot Court competition and was Outstanding Oral Advocate in The National Moot Court Competition. Mr. Stern was selected by his law professors for admission to the Order of Barristers, a national Honor Society which provides recognition for outstanding appellate argument, legal research, and writing. Mr. Stern was also Editor-in-Chief of the Widener Law Forum. Mr. Stern is approved by the Florida Department of Financial Services to instruct continuing education classes for insurance adjusters and provide corporate training related to general lines of insurance. He has conducted training for the Association of Property & Casualty Claims Professionals (PCCP), Jacksonville Claims Association, South Florida Claims Association, and clients, among others. "Non-Delgate Duty & Third-Party Litigation Strategies"
"Practice Guide to Employer Liability Litigation–Coverage B." "Product Liability Primer: Helpful Resources and Causes of Action." "Coverage-B Claims: Reducing the Employer’s Liability for Workplace Accidents." "Florida Liquor Liability: Dram Shop Law." "Indemnity Claims: Best Practices for Recovery"
"Spoliation of Evidence: To Preserve or Not to Preserve." "Work Product and Attorney-Client Privilege: What is Truly Protected?" "Catastrophic Workplace Injuries: OSHA Investigations and Employer Liability." "Parental Liability for the Act of Minors: Parents Beware." "Employer Liability for Cell Phone Usage and Other Driving Distractions." Mr. Stern served as a Sergeant in the United States Air Force for six years. During this military service, Mr. Stern received the Air Force Commendation Medal, Air Force Achievement Medal and the Air Force Good Conduct Medal. He also received the Small Arms Expert Marksmanship Ribbon and the Air Force Overseas Long Tour Service Ribbon. He enjoys playing golf on the weekends, shooting at the gun range, attending food festivals, and occasionally playing chess. Jai, his therapy dog, provides weekly assistance to those individuals affected by memory loss.